Balance sheets show a company's current standing by giving traders an easy way to see what the company owns and owes. The balance sheet is a summary of the company’s individual and total financial balances. 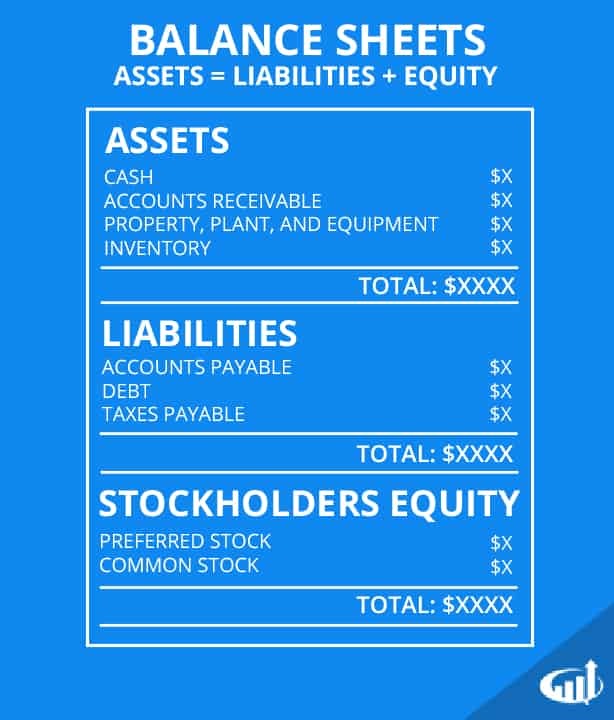 A balance sheet is composed of three parts: assets, liabilities and shareholder equity. Assets are tangible items like cash, property, inventory and securities. They are usually listed in subjacent order based on liquidity and valuation. Liquidity is determined by how quickly an item can be sold for cash. Liabilities are debt items like loans and monies due to suppliers, partners, leases and mortgages, accounts payable, accrued expenses and deferred revenues. These are listed in terms of priority from short-term to long-term. Equity is segmented by the number of shares owned by the company, the outside shareholders and free trading as well as the number of common shares and preferred shares.